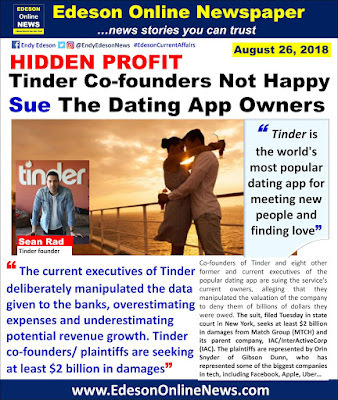 The suit, filed Tuesday in state court in New York, seeks at least $2 billion in damages from Match Group (MTCH) and its parent company, IAC/InterActiveCorp (IAC). The plaintiffs are represented by Orin Snyder of Gibson Dunn, who has represented some of the biggest companies in tech, including Facebook, Apple and Uber. and other early employees. It also includes an allegation of sexual harassment against Tinder's former CEO, Greg Blatt. IAC issued a statement calling the suit "meritless" and saying it would "vigorously defend" itself against it. respective departures, but sour grapes alone do not a lawsuit make." 2017 valuation artificially low. 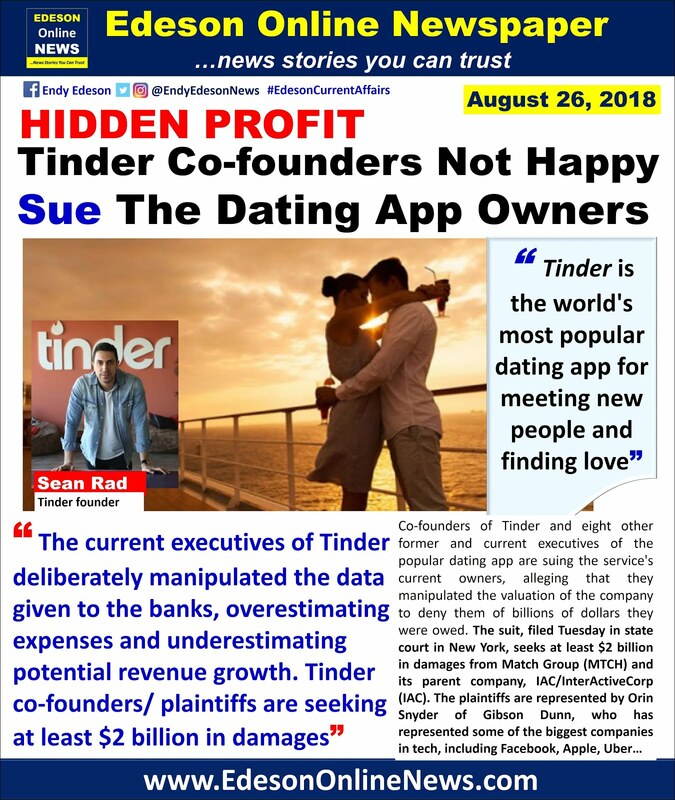 That manipulation allegedly deprived some early Tinder employees of millions, or billions, of dollars. interview with CNN. "We're here to preserve our rights and to fight for what's right."